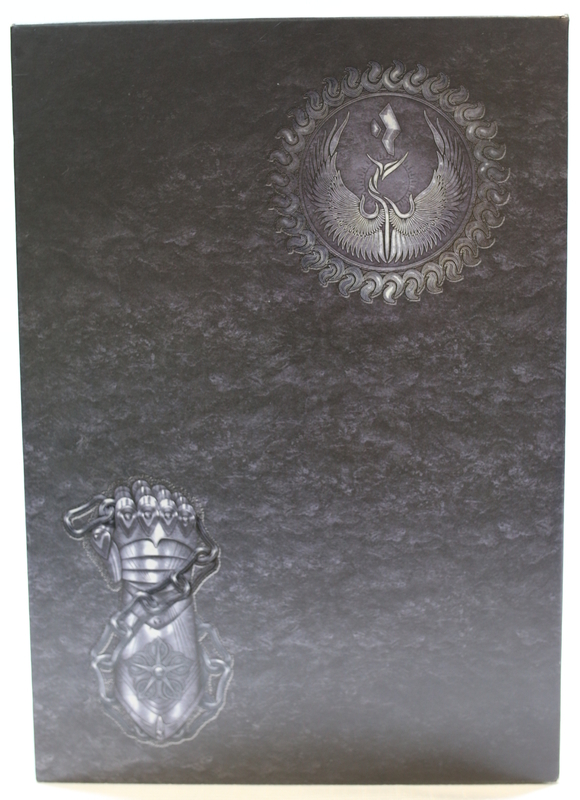 False book style box with transparent sleeve; fitted paper insert to hold contents. 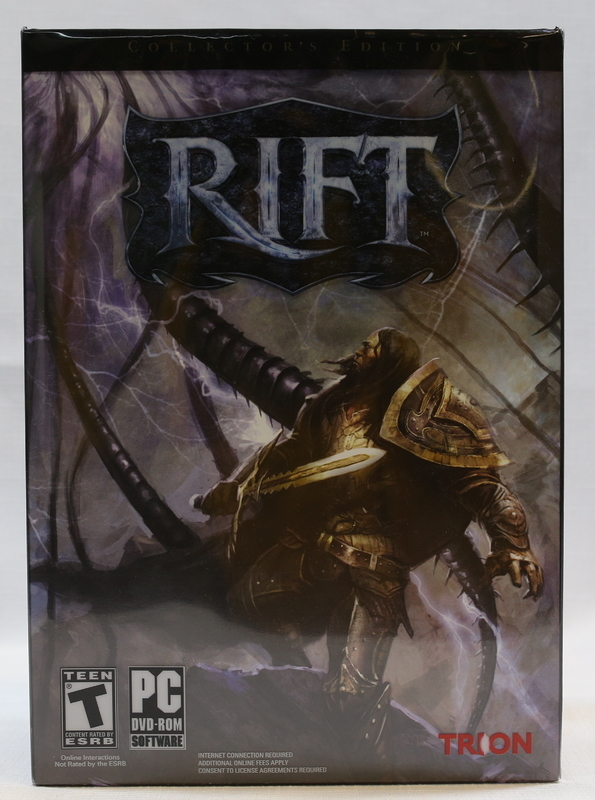 Sleeve has game name printed on it; box has graphics. 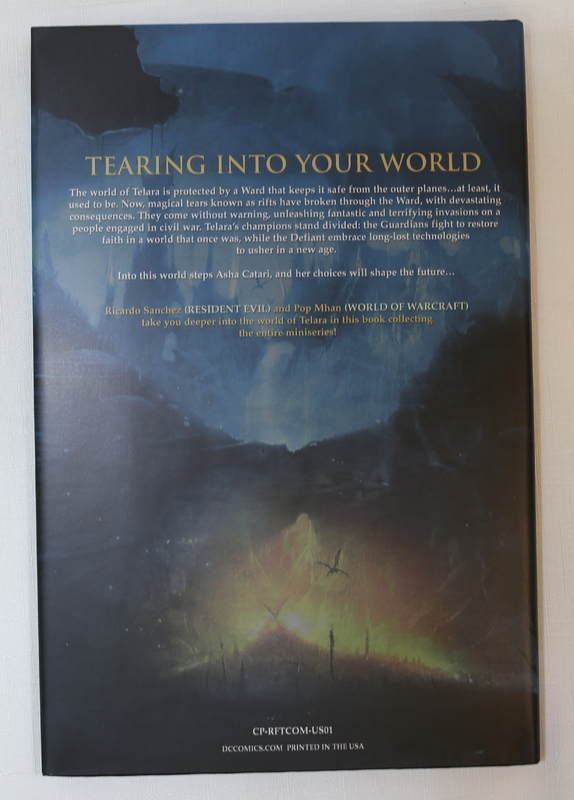 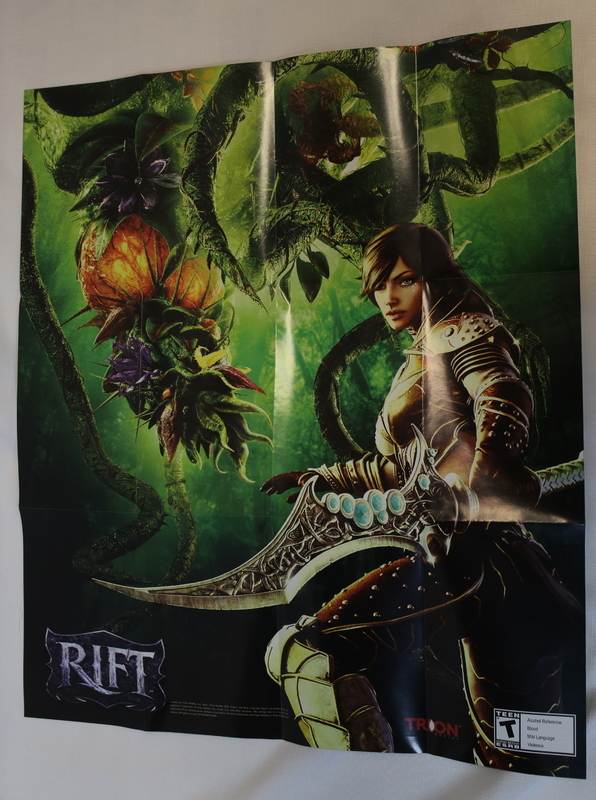 Folded poster, double sided. 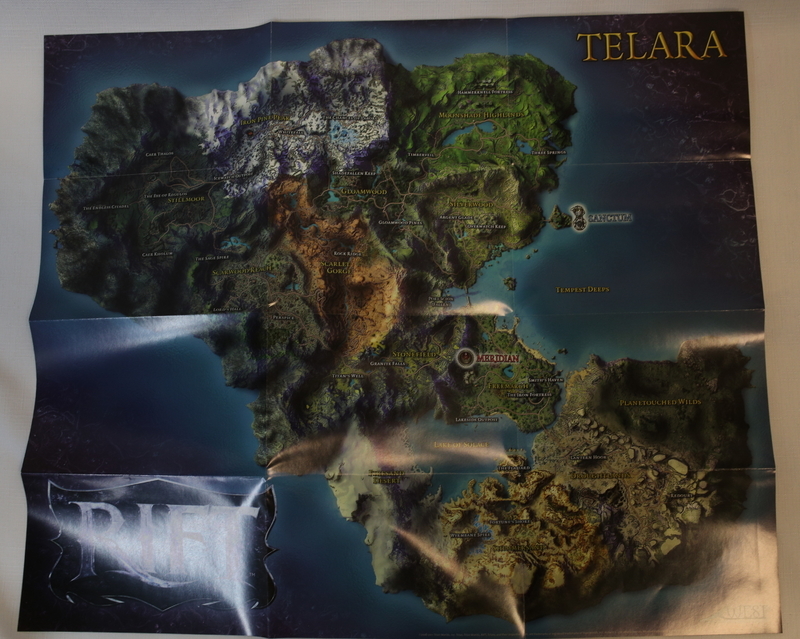 Map of Telara on one side, Game scene on the other. 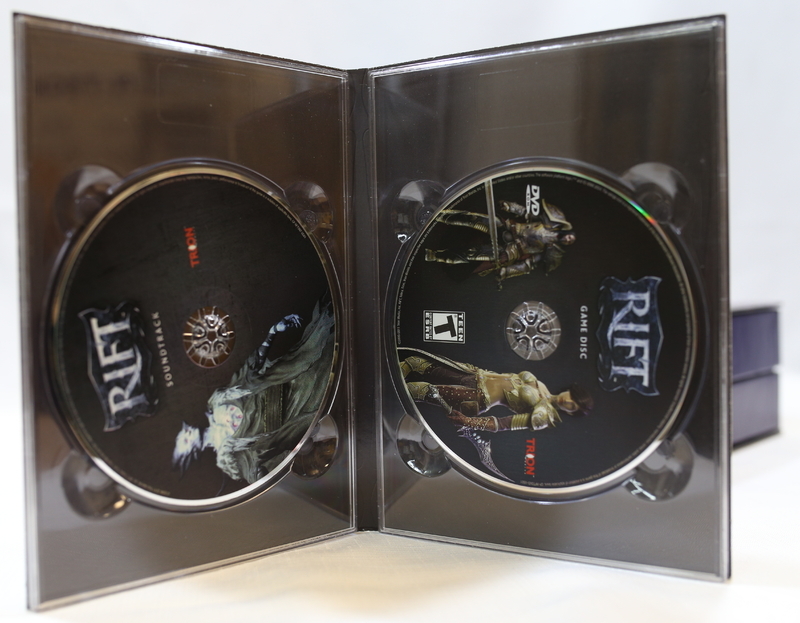 Game disk and soundtrack disk in double sided CD case with graphic inserts. 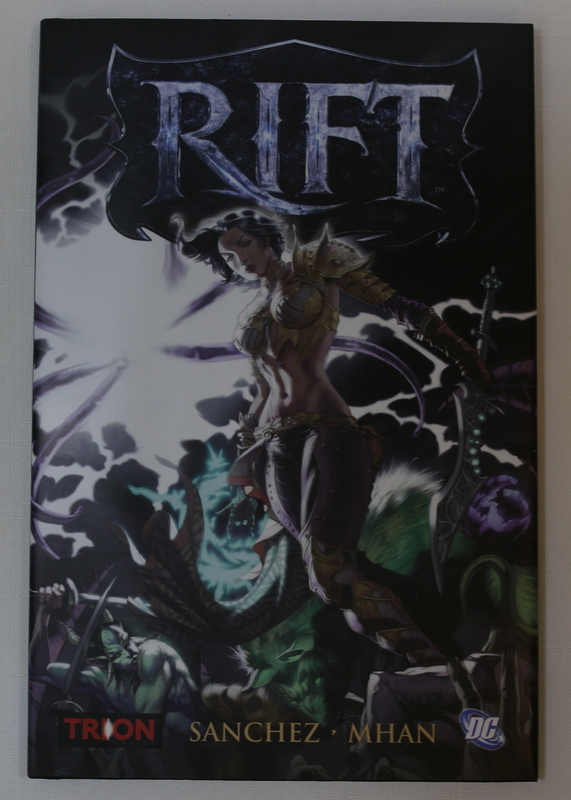 Hardcover comic book with paper dust jacket. 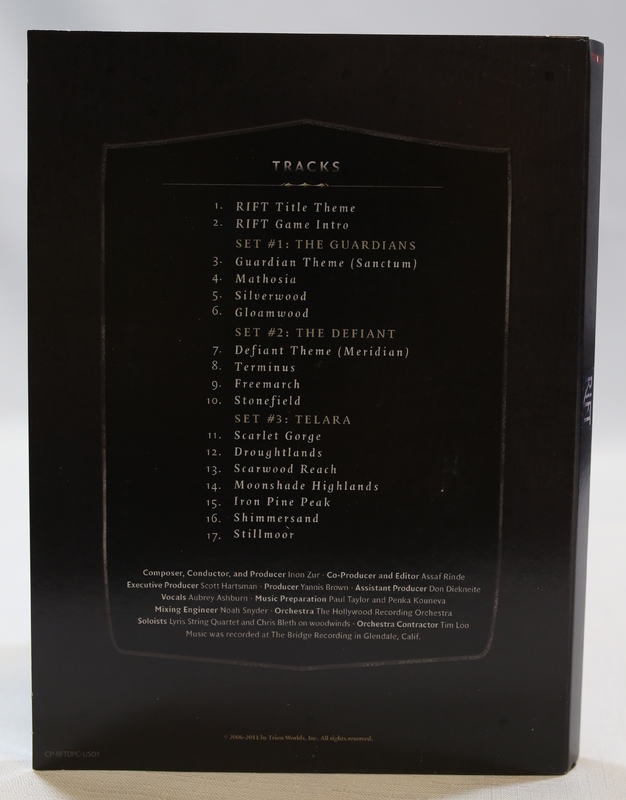 2011.006.001f - double sided CD case with graphic inserts. 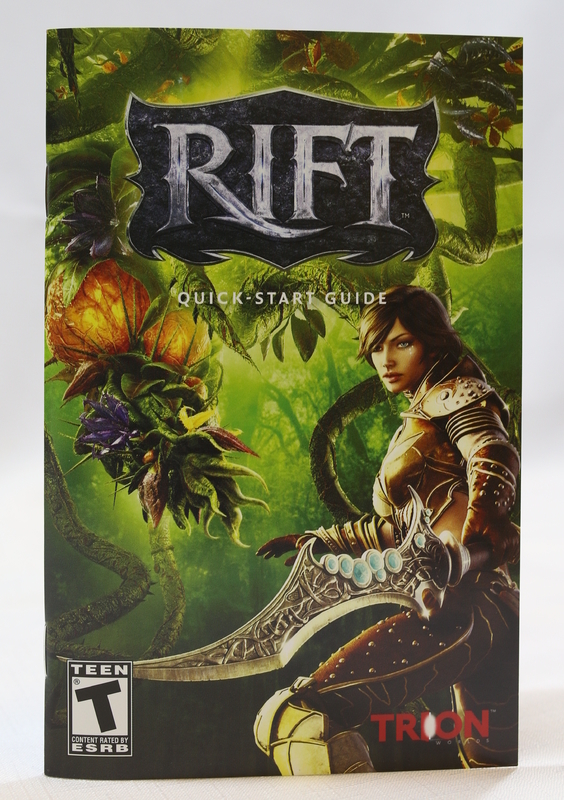 Computer games - Handbooks, manuals, etc. 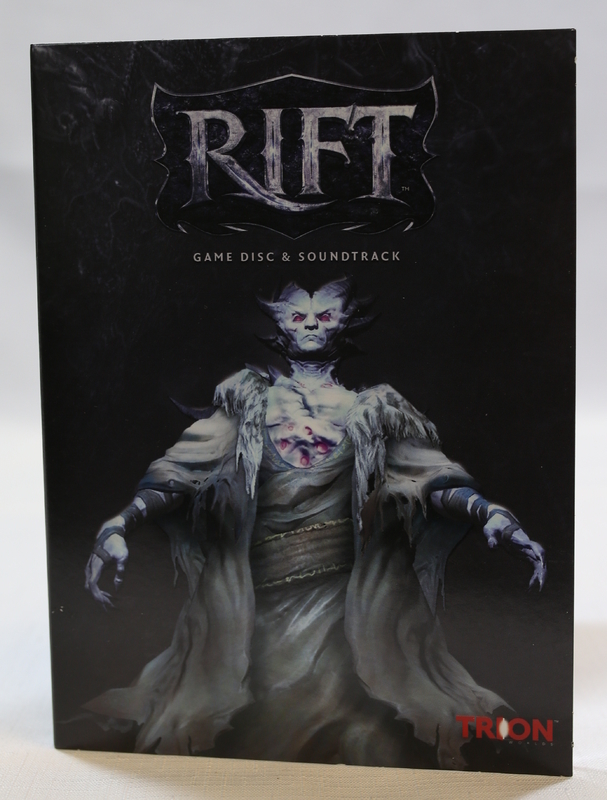 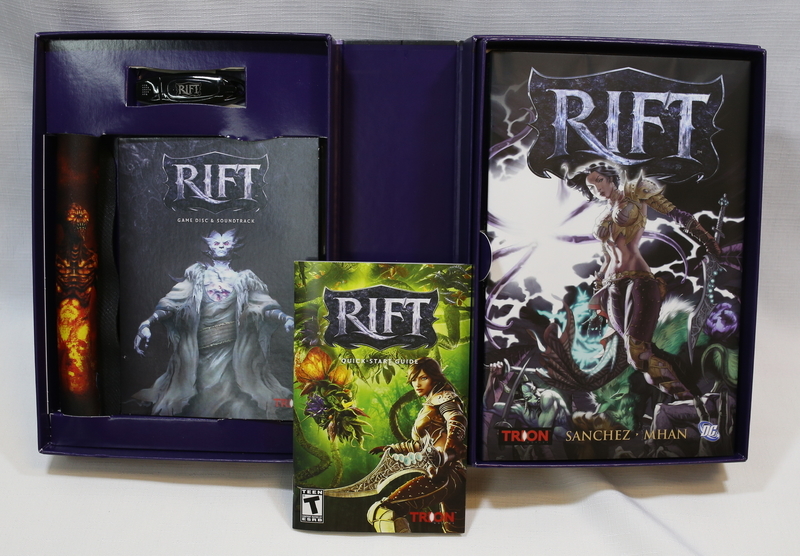 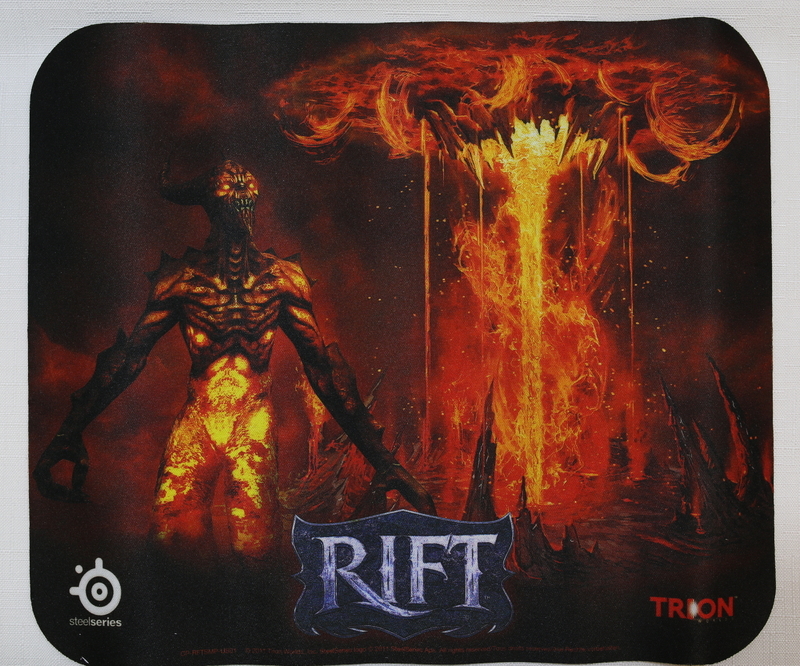 8" x 11" x 3"
Trion World Network, Inc., “Rift Collector's Edition,” Digital Game Museum Collection, accessed April 24, 2019, https://www.digitalgamemuseum.org/collection/items/show/280.